Music Box is a four CD set by the Monkees. It replaced the previous Monkees box set, entitled Listen to the Band. 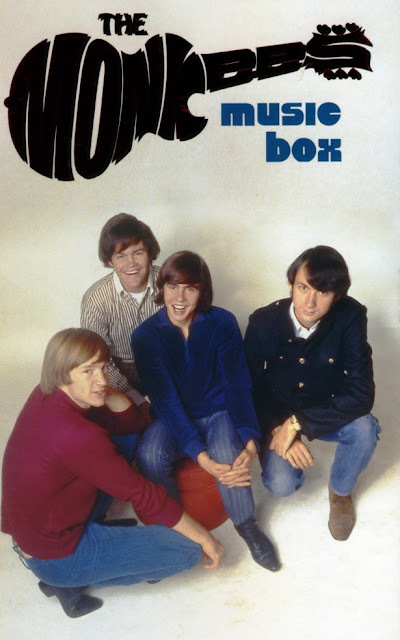 In addition to music recorded in the 1960s, it also includes music from the Monkees reunions in 1986 and 1996 as well as previously unreleased versions. I've been looking for this for some time,one of my all time favorite Band! Many thanks for this lost treasure!!! This site is best nostalgic tomorrow. Thans a lot olegelagin!! I've been looking around for this particular boset for quite a while: it's most appreciated! !